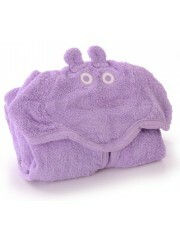 An extra-large hooded towel,ideal for babies and toddlers & beyond. Features 2 apron-style straps to free parent's hands for bathing a new baby. Our brightly coloured towels have an animal themed hood making them fun and cosy to wear for babies and toddlers and ensuring fun and excitement at bath time. Made of 100% cotton towelling. 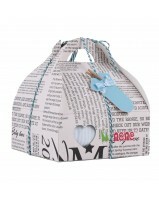 Comes packed inside a matching fabric bag. 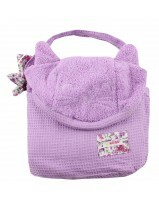 The baby bath essential gift set is designed keeping your little one in mind. Being extremely soft, it is perfect for your baby's delicate and sensitive skin and also makes an Ideal gift set for new moms. This 5 piece bath set contains one hooded bath robe, one bath towel, one changing mat, one swaddling sheet and one wash cloth.This baby bath essentials set is made from 100% cotton with matching prints that will provide maximum comfort to your little one. 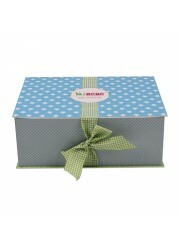 This gorgeous newborn gift is ideal for christenings, baby showers or as a special first gift. The 4 piece set includes all in one with applique, new born hat, muslin with applique and heart pin cushion. 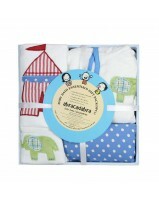 The whole set is made from 100% cotton and is too good to miss! 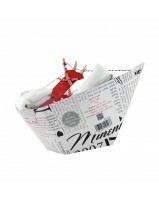 Size : L\25.5cm x W\16.5cm x H\7cm. 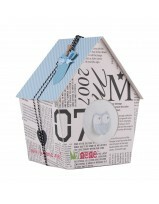 Innovative gift box in fun shapes like this gorgeous house with an assortment of goodies, makes for the perfect present. Your gift will definitely be remembered! This adorable house gift includes one bodysuit with Owl applique, trousers with feet and a double sided soft cotton blanket (70*90 cm). L\14cm x W\14cm x H\23cm. Available in blue for boys, pink for girls and grey for little surprises! Say cheese! 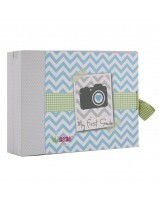 This cute 3 piece gift box not only carries adorable goodies for baby but also doubles up as a photo frame for baby and you! 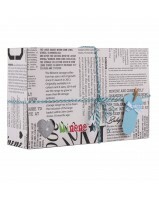 This gorgeous box included jersey cotten bodysuit with applique, trousers with feet and new born hat. L\25cm x W\28cm x H\3cm. All Clothings for 0-3 Months Baby.